This Dentist Says About The Dangers of Albothyl! INDUSTRY.co.id - Jakarta - Head Division of Oral Disease, Department of Dentistry and Mouth RSCM, dentist Endah Ayu Tri Wulandari justify the use of policresulent chemicals in certain cases can actually aggravate the disease / disorder of the oral cavity, such as canker sores. She found that many patients came to him with the side effects of using policresulen. 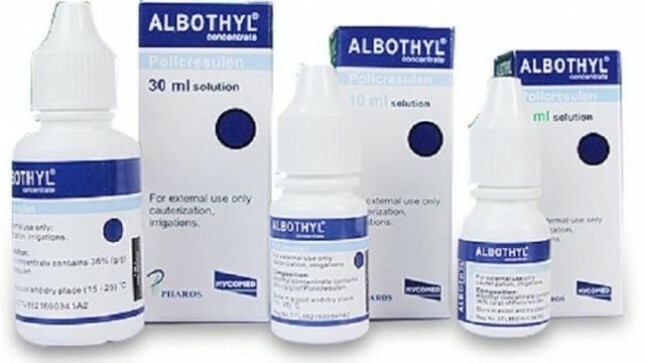 According note, more than 20 patients affected by policresulen side effects called the Albotyhl brand as an external medicine before coming to him because of canker sores suffered do not go away. Initially, said Endah, he had handled patients with mouth to perfort because the network died. "And after being asked, it turns out he was previously canker sores, then use the drug," she said. In addition, Endah said there is no scientific study that proves the use of policresulen can cure diseases or disorders of the oral cavity, such as sprue. Until now, there is no scientific study and evidence that says the use of policresulen for oral cavity is safe to use. "If from the side of the science of oral diseases, all sores cannot use policresulen," he said. Previously, in social media had viral a letter issued by BPOM numbered B-PW.03.02.343.3.01.18.0021 on the recommendation of the result of post-marketing safety review of policresulent in the form of liquid dosage of outside drug concentrate 36 percent. The letter dated January 3, 2018 is addressed to PT Pharos Indonesia. The letter says there is no evidence and scientific studies that support the use of policresulent in the form of a liquid dosage of an external drug of 36 percent concentrate can be approved. In addition, the recommendation is also based on reports that the use of 36 percent concentrated policresulent concentrate has caused chemical burn to the oral mucosa by consumers. "Therefore, policresulent oxygen secretory outside 36 percent concentrate is no longer recommended its use for indications in surgery, dermatology, otolaryngology, stomatology, and odontology. Therefore, policresulent in the form of external drug dosage of 36 percent concentrate should not be circulated anymore for the indication," the BPOM recommendation in the letter.